Only ships to United States from Brooklyn, New York. 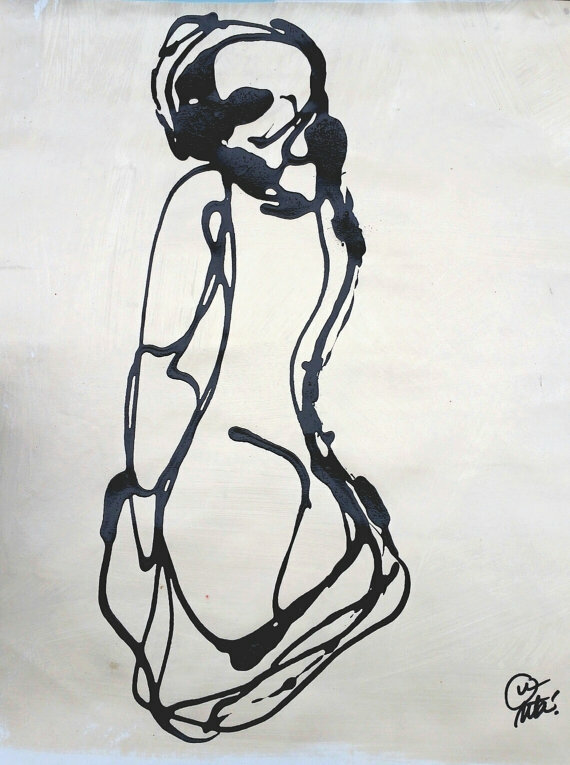 This is a drip painting by Uta Brauser in her Figure Studies series, latex enamel paint on canvas, 24″ x 16″, stretched. The human body and the body’s movement have been my fascination from the beginning of my art journey. I have sculpted the body in motion, I created poseable figures, playing with the observation and fascination of our human body and expressions. This painting ships from Lake Worth FL. by Uta Brauser, latex enamel paint on canvas, 26.5″ x 23″.